A driver update will soon turn on G-Sync support for other variable refresh monitors. 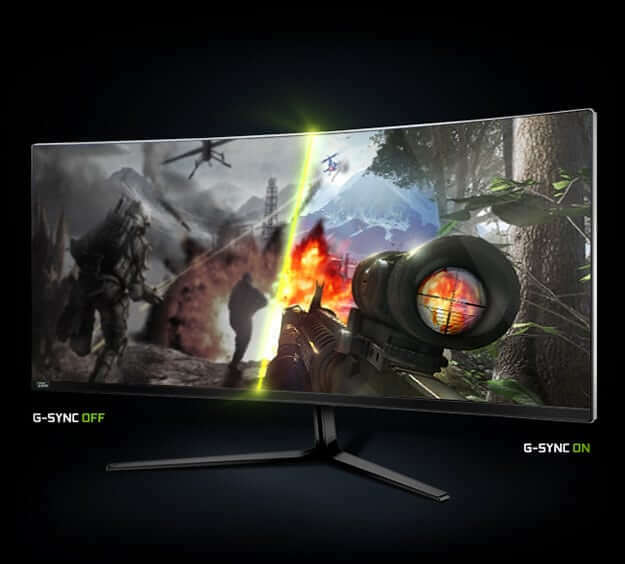 For a few years, Nvidia's G-Sync has been the best thing going in gaming monitors: an adaptive sync technology that uses specialized hardware to match the framerate of the monitor with an Nvidia graphics card. Because G-Sync displays use proprietary Nvidia tech, though, they're pricey, and the open standard of FreeSync has come close to delivering the same experience on lower priced variable refresh displays. Now Nvidia is bringing G-Sync compatibility to some of those FreeSync monitors, no extra hardware required. "We tested about 400 [adaptive sync] monitors and 12 of them passed," Nvidia CEO Jensen Huang said at the company's CES press conference Sunday. "We're going to test every async monitor the world has made, and for the ones that pass, we're going to certify them, and we're going to optimize the software to support them, and we're going to turn it on in our software so that whatever Geforce customer enjoys that panel can now enjoy it as if they purchased a G-Sync monitor." This new FreeSync monitor support will go live in Nvidia's January 15 driver update. And it actually won't be limited just to FreeSync monitors that Nvidia says pass certification. Those monitors will simply have the feature turned on by default. "For gamers who have monitors that we have not yet tested, or that have failed validation, we’ll give you an option to manually enable [G-Sync], too," says Nvidia's press release. From over 400 monitors just 12 passed...goes to show how "variable" the quality of these freesync monitors are..haha get it? "variable"
they still gona test more and they clearly said ALOT of tests tht will mean even minor issue they wll say NO..
but we have option to manually turn it on on all Freesync monitors which m sure wll improve over time. MY XG2701 had this enabled as soon as i installed the driver ! Its still not perfect. I enabled G-Sync on my MSI Optix MAG27CQ. Performance was excellent but I keep getting a black screen intermittently in games.